A beautiful sunny WhereArtI Monday in Edinburgh. Can you name this week’s sketched location? @edinsketcher hi. Did we get points for last weeks efforts? 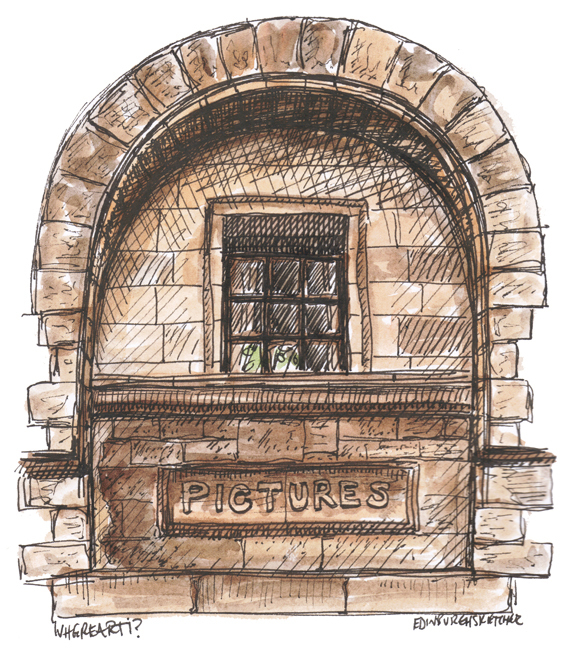 @edinsketcher “Thomassons” is the word I was reaching for. Another vestigial thingy I’d never spotted before! You do like this part of town, fourth WAI near here? Scottish national portrait gallery on Queen’s St?